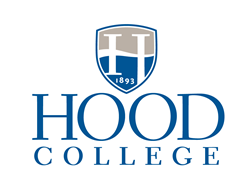 “We are grateful to the Department of Commerce for its role in funding the Endowed Chair in Project Management,” said Hood College President Andrea E. Chapdelaine. “We strive to meet the needs of the greater Frederick community, and this opportunity creates a pathway to continue that effort. As part of a $15.8 million E-Nnovation grant for higher education institutions across Maryland, the Department of Commerce has awarded Hood College $1 million to support its new Endowed Chair in Project Management.